BERLIN -- Volkswagen AG, Europe's largest automaker, said third-quarter operating profit surged 46 percent on demand for Audi's revamped A6 sedan and the VW brand's Tiguan SUV. Operating profit advanced to 2.89 billion euros ($4.05 billion) from 1.99 billion euros a year earlier, the Wolfsburg-based company said today on its Web site. Profit beat the 2.61 billion-euro average estimate of 15 analysts surveyed by Bloomberg. Revenue gained 25 percent to 38.5 billion euros. 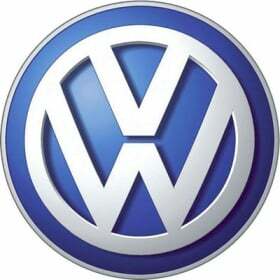 VW is expanding in China and the U.S. in a bid to surpass Toyota Motor Corp. as the world's biggest carmaker. VW has a goal of boosting deliveries of cars, SUVs and vans by 11 percent this year to a record 8 million units. The maker of the Golf hatchback, VW's best-selling vehicle, plans to invest a record 62.4 billion euros over the next five years on plants, models and r&d to underpin its global expansion. VW wants to hire more than 50,000 workers through 2018 as it targets more than 10 million autos a year. "VW keeps performing well in an increasingly challenging market place," said Marc-Rene Tonn, a Hamburg-based M.M. Warburg analyst who recommends buying VW stock. "Expansion is fueled by a balanced model cycle and presence in key markets. VW's order books are full; they should be on track to achieving their 8 million sales target." Volkswagen stuck to an earlier forecast that full-year EBIT and revenue will be "significantly higher" than in 2010. Net income more than tripled to 7.04 billion euros. Profit was impacted by a gain from the revaluation of an option linked to VW's planned combination with Porsche Automobil Holding SE. Volkswagen rose as much as 6.40 euros, or 5.4 percent, to 124.60 euros and was up 5.3 percent as of 10:25 CET in Frankfurt trading. The shares have gained 2.6 percent this year, valuing the German company at 53.9 billion euros. "Our strong business performance shows the strength and stability of our strategy," CEO Martin Winterkorn said in a statement. "In light of the current economic uncertainties, we are continuing to monitor developments in the global automotive markets extremely closely." Daimler AG, the world's third-largest maker of luxury vehicles, today reported a decline in quarterly profit for the first time in two years on slowing sales growth and costs to introduce new models. PSA/Peugeot-Citroen SA, Europe's second-largest carmaker, yesterday cut its target for 2011 auto profit and said it may cut as many as 3,500 jobs as pricing pressure increases. VW's nine-month deliveries rose 14 percent to 6.1 million units, powered by a 15 percent increase in China and a 20 percent gain in the U.S. Sales of the namesake brand's models, such as the Golf and Polo subcompact, rose 12 percent to 3.8 million, while deliveries of Audi cars, including the revamped A6 and the Q5 SUV, increased 17 percent to 973,000 autos. "We are on the right track with our strict cost and investment discipline and will systematically continue along this path," Chief Financial Officer Hans Dieter Poetsch said in a statement. "We have established a strong position and our sound finances mean we are well prepared for the future, even if this entails economic uncertainties." Future growth may also stem from pending mergers. VW won European Union antitrust approval last month to take a majority stake in MAN SE. VW has been seeking closer cooperation between MAN and Scania AB, also owned by VW, with a goal of saving as much as 1 billion euros in annual costs. A planned merger with Porsche is being held up by lawsuits in the U.S. and Germany, and investigations over accusations that Porsche misled investors during a failed attempt to buy VW. Porsche has repeatedly denied all of the allegations. Both companies agreed to combine in 2009 after Porsche racked up more than 10 billion euros of debt as a result of its failed attempt to take over VW. A partnership with Suzuki Motor Corp. is deadlocked as the Japanese manufacturer has been urging VW to sell back its 19.9 percent stake. VW has dismissed accusations that it violated a cooperation accord by not sharing technology and plans to keep its holding.